Miki, the photographer has seen several performances of this dance group, ‘Eniishi’. They are pretty big team, but they looked perfectly managed. 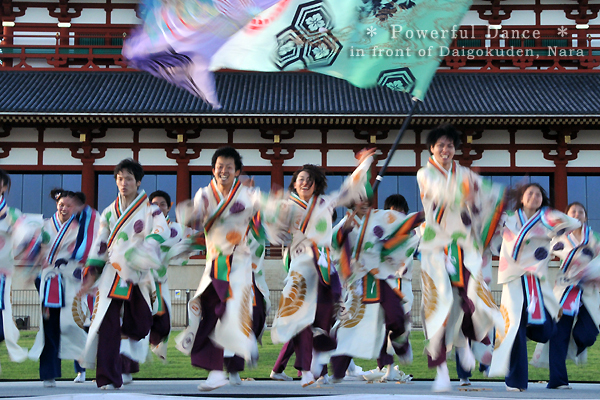 Taken in front of the Daigokuden at Heijo Palace during Tenpyo Festival.